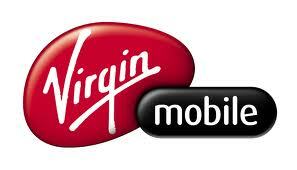 The Virgin Mobile Broadband Nightmare! Where do I start...their customer service is horrible, their equipment is hit-or-miss, their supposed IT department does not know jack $#it, and I am being charged for lack of service. To top it all off, their customer service is not within the 50 states! I am paying another country for my lack of broadband service and shotty customer service that does not help. I need an unlimited plan for my broadband. Verizon, Sprint, T-Mobile anybody and everybody, just do it and stop being so greedy! 5GB is not enough for anybody! Comments for The Virgin Mobile Broadband Nightmare! All Time Low For A Tech Purchase - Avoid At All Costs! After a week of research looking for a proper solution for a Mobile Broadband requirement with my company, I bought the Overdrive Pro and paid for overnight shipping in order to use it for a very important function Easter weekend 2013. So far I have spent endless hours on the phone (about 15 calls in 3 days, all with numerous promises to solve the problem or call back...no one EVER does), getting a vague series of conflicting promises, and a basic jargon run around from support (they all completely understand my frustration of course, as I was told a few dozen times...). But I still cannot sign into my account and get this device in operation a full THREE DAYS LATER. This is by far the WORST experience EVER buying and setting up a new tech device in over 30 years. If your looking a for Mobile Broadband solution, and would enjoy spending endless hours on the phone with tech support agents talking through voice modulation devices from an unknown overseas location, and ultimately arrive at a completely UNWORKABLE solution and NO SERVICE - then look no further. You have reached the APEX of technical dysfunction and hyperbole! ENJOY! But be VERY VERY WARY!!! Oh! If only there was a MINUS Star Rating function . . . I have had my MiFi 2200 for two months. I have used it almost daily on the "road" from West Palm Beach to Inverness Florida. The only problem is in dead spots along the turnpike or I95, where I get no service. I would not like to play games on the device I might be using, but for e-mail and live radar maps it does the job. I bought a USB Virgin back in October from Best Buy. It didn't work.I brought it back so a techie guy could help me. He couldn't get it to work. I got a refund and said the hell with it! I'm sorry to hear about your frustrations. Unfortunately, I completely understand as others have posted their challenges with Virgin's Broadband2Go product and support. It's hard to say how widespread the problem is because people who are happy often don't have the motivation to post positive reviews; I guess that's human nature. But regardless, the poor experience you had is definitely not isolated! Also, I have to agree with you regarding 5GB not being enough. I never used to have an issue with it, however, recently I've started to use more, and it gets expensive. Note that I'm not using Virgin's product currently, but do have a MiFi device that I'm using with two computers, and 5GB is really becoming borderline! I expect it will only be a matter of time before all major carriers expand their usage limits on prepaid, particularly as they come to realize that prepaid is in high demand, and can be extremely profitable, and not a business model that they need to fear so deeply. It makes sense for them to ease into it, and I can understand that that's a wise strategy, though certainly frustrating for us customers!